Click the image to download this free Father's Day Printable Pack. Nothing says "I love you Dad!" (or "I love you Grandpa!") than a quick batch of cupcakes and some fancy mustache printables. 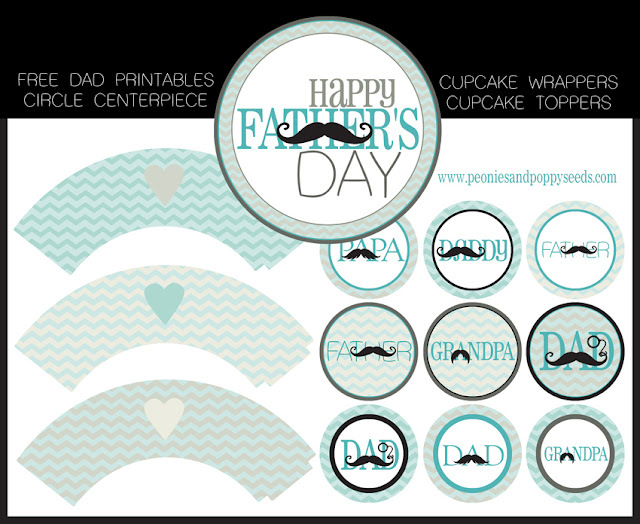 Get these free cupcake wrappers, 2 1/2" circle cupcake toppers, and large circle centerpiece, and make your dad (or grandpa) feel the stache o' love.